Choosing hybrid cloud management tools isn't an easy task. You've got to peel back the layers of hype before you can even evaluate them--especially considering many are still new and evolving. Then you have to weigh each tool's future potential against your future needs, potential ROI, avoid vendor lock-in, and the list goes on. 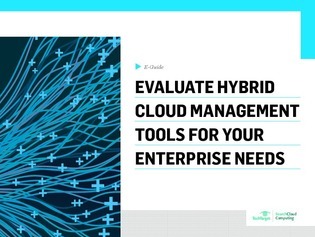 Use this e-guide as your hybrid cloud management tool evaluation kit. Inside, you will find 3 primary decisions to make with every tool you see, as well as a list of criteria for those tools that catch your eye.